Happy April second! I hope you’re doing well and that your weekend was a good one. March was an awesome month for me and Copeland Coaching. I’m so excited to share all the details with you here. I’m still in disbelief. Amazon has added the Copeland Coaching Podcast as an Alexa Skill. This means that you can now play the show on any Alexa enabled device. I’ve tested it out with my Echo speaker. I’d love for you to check it out, and it would be amazing if you would leave me a review. Amazon cares about reviews. Reviews help to make the show easier for others to find. If you’re interested to listen to the show on Alexa, or to leave a review, here’s a video tutorial to show you how to do it! If you follow me on Instagram, you know that I was in Austin this month. I attended the Workplace portion of the SXSW festival. It covered tons of interesting topics, from salary negotiation to creative HR benefits to diversity and pay equality. It was an exciting week filled with great information! I’ve been interviewing a number of the speakers for my podcast and will continue to share the episodes into the coming weeks. Check out the episodes that are already available on Apple Podcasts or wherever you get your podcasts. What! How exciting is this! I visited the number one job site in the world – in person! I continue to be impressed by the focus and effort that Indeed puts into treating its employees well. On top of interesting work, “Indeedians” receive fun perks such as unlimited vacation and free lunches. There’s more to it than this, but the more I get to know Indeed, the more I’m convinced that it’s a special place to work. You know I love the Myers-Briggs assessment! I am so happy to be included in Forbes this month with my thoughts on how you can use the MBTI to your advantage. Check out the entire piece on Forbes.com. Two awesome things together in one place: Girlboss and LinkedIn. Huge thank you to Girlboss for including my advice on this piece about making your LinkedIn the best it can be. Check out all of the advice on how to write an A+ LinkedIn summary on Girlboss. If you’ve been at your job for years and need a little inspiration, this piece is for you. Big thanks to Forbes for including my tips on how to renew your motivation. Check out all the ways you can renew your motivation on Forbes. I had a number of incredible guests in March. You can listen to the interviews on the Copeland Coaching Podcast on Apple Podcasts, Stitcher, Spotify, Alexa, or wherever you download podcasts. Margaret Heffernan, Willful Blindness – Margaret has run five different businesses in the U.S. and the U.K. She teaches at several business schools in the U.S. and U.K. and sit on the boards of three organizations. Margaret has published five books including: Willful Blindness, A Bigger Prize, and The Naked Truth. She’s also given multiple TED Talks, and speaks at conferences and organizations around the world. When to Ask Your Boss for More Money – Who wouldn’t like to make more money? If you’ve read my column before, you probably know that I’m an advocate of changing companies every three to five years (for many industries). Starting a Digital Marketing Career – Digital marketing is a hot field. It has been hot for more than ten years. I rarely share much about how to move into the field of digital marketing. Secrets Recruiters Won’t Tell You– Applying for a job seems like a fair process. You apply online, and if you’re a good fit for the job, the company will give you a call. The New World of Social Media – Social media used to be so fun. We could all stay connected with friends and family, for long periods of time and around the world. January Recap: Start your 2018 job search off right! Happy February! Can you believe it – we are really into 2018. If you haven’t started on your 2018 job search, now is the time. In celebration of starting off strong, I want to share my January recap with you. I had a number of wonderful opportunities to share tips on job searching throughout the month. Below you will find links to an article I wrote for Forbes about 2018 job search trends, a TV interview from Live @ 9 on WREG News Channel 3, four new episodes of the Copeland Coaching Podcast, and more! If you haven’t already, please be sure to subscribe to the Copeland Coaching Podcast on Apple Podcasts. It makes the show easier for other job seekers to find. And with that, I hope you enjoy these tips from January! Have a wonderful week! I had the opportunity to speak about 2018 employment trends on Live @ 9. Huge thank you to Marybeth Conley and Alex Coleman for bringing me back again to talk about what you can do to prepare for your 2018 job search. If you missed the segment, you can click here to watch the entire thing, and get all the tips. I had the opportunity to write another piece for Forbes this month about what job searchers can expect this year. Last year was an exciting time to find a new job. Despite natural disasters and political changes, the U.S. added over 1.9 million new jobs. This year stands to be another year of change. Wouldn’t it be great to know just what we can expect in 2018? Glassdoor.com has released a study to help predict the days ahead. Spearheaded by Glassdoor Chief Economist Dr. Andrew Chamberlain, the study points out the next big disrupters in jobs and hiring. To learn about all of the 2018 job search trends, and what you should do, check out the entire Forbes piece here. I had the honor of interviewing four great guests this month for the Copeland Coaching Podcast. You can check out all of the episodes on Apple Podcasts or wherever you get your podcasts. If you haven’t already, please also be sure to subscribe to the Copeland Coaching Podcast in Apple Podcasts. It makes the show easier for others to find it. Joe Navaro, Author & Body Language Expert – Joe is an international bestselling author and body language expert. He spent 25 years at the FBI, working as both an agent and supervisor in the areas of counterintelligence and counter terrorism. We talk about non-verbal communication and how to improve your body language during job interviews. Mark Sanborn, Author of Potential Principle – Mark is an international inspirational keynote speaker and author of seven best-selling books that have topped the New York Times, Wall Street Journal, and USA Today. We talk about escalating your performance at work, and how to be identified for internal promotions. Amy Wrzesniewski, Professor at Yale University – Amy is a professor of organizational behavior at the School of Management at Yale University. Her research interests focus on how people make meaning of their work in difficult contexts, including stigmatized occupations, virtual work, and the absence of work. We talk about the tie between purpose and meaning of work, and how closely our career is tied to our identity. Isaac Lake, Career Rebranding – Isaac is a Manager of Brand Performance Support at Hilton. Previously, Isaac worked at the University of Memphis where he was the Manager of Facilities and Programs at the University Center. We talk about the biggest difference in working in corporate and in education – and tips on how you can make a major career shift. I joined Dr. Scott Davis on his podcast, To Market. Scott is a professor at the University of Houston. We talked about how to manage your job search, and how to keep the entire process a secret. We also talked about how to negotiate and when to look for your next gig after business school. Check out the entire episode on Apple Podcasts here. I’m thrilled to be included in this piece on Forbes. It may come as no surprise to you that my tip for creating a culture that thrives is to create a respectful workplace. In 2018, one of the most important parts of building company culture is related to creating a workplace that is respectful. In light of so many corporate problems in 2017, we need to work together to treat others with the same level of respect that we want to be treated with — even when that person is different than us or may have different personal values than we do. Check out all 15 of the tips for building a great company culture on the Forbes website. I spoke to Caroline Stokes on her podcast, The Emotionally Intelligent Recruiter. Caroline is the Founder of her firm at FORWARD Executive Search & Executive Coaching. We break down the many ways that candidates face emotional challenges when job hunting. We also talk about ways that recruiters and HR representatives can mitigate some of the emotional tolls. Check out the entire episode on the Emotionally Intelligent Recruiter website. Exit your current job with grace. Anything you can do to leave on a good note is a good idea. Thank you notes and goodbye lunches all help to give positive closure. To check out all the tips, visit the Magnify Money website here. When the hiring manager shows signs of being unreliable or inconsistent, the job seeker notices — and it does factor into their decision whether or not to accept a job offer. The hiring manager should treat the candidate the way they would also want to be treated. Be on time. Be prepared. Provide feedback to the candidate in the timeline promised. Treat the candidate with respect. Check out all the tips on the Ivy Exec website. Thanks everyone for your kind words about my new office! It’s been such a positive experience. I’ve enjoyed seeing everyone who has stopped by since the move. The past month has been a whirlwind! First, there was the move. Then, I had the opportunity to speak on the radio and TV about topics like applying via Snapchat (who knew! 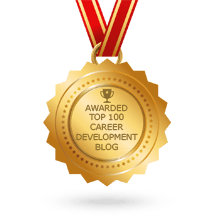 ), and to share my career advice in a number of online publications, including Glassdoor, CNBC, and Society for Human Resources Management. I also had a chance to interview former Starbucks President Howard Behar, career author Caroline Dowd-Higgins, and human resources expert Jennifer McClure. And, if you missed it, I chatted with the head of HR at Indeed.com (the #1 job search website), Paul Wolfe, back in June. It’s been a great, exciting time. Below is a review of the month and what to look for in August. I hope you’ll find this content fun and informative. Friday, August 11th – I’ll be presenting at the Memphis Public Library about updating your resume. Saturday, August 19th – I’ll be presenting at the 2017 Modern Day Women’s Conference about marketing yourself, and finding a new job in the current market. If you haven’t had a chance to check out my TEDx Talk, you can watch it here. The title of my talk is “How I broke the rules & found my perfect job.” It was a great opportunity to share my personal career experience and what I learned along the way. The digital age of hiring, Wreg (web) – McDonald’s is hiring 250,000 new employees this summer with the help of Snapchat. I got a chance to talk about what it means on Live @ 9, and whether or not you should be searching for a job on social media. Everything you need to nail your informational interview, CNBC – You may not have been on one (or even heard the term before), but an informational interview can be your ace in the hole during the job seeking process. 9 Skills You Need to Master Before You Become a Manager, Glassdoor.com – There’s no doubt that being a manager has its perks — increased prestige, recognition from upper management, and a higher paycheck among them. Employers Are Using Snapchat to Reach Generation Z, Society for Human Resource Management – After just four weeks of running a series of ads that prompted Snapchat users to swipe to the McDonald’s careers page, the fast food chain has received 35 percent more job applications as compared to this time last year. 9 Things You Need to Stop Doing if You Want to Be Taken Seriously, Glassdoor.com – Want to be known as a rockstar around your office? Here’s a tip: to really earn a stellar reputation, you can’t just do your individual tasks well. Usual Suspects Permeate 2017 Top Employer Rankings, Society for Human Resources Management – It has become something of an aspirational refrain in the business world: Facebook, Amazon, Netflix, Google. The ubiquitous tech juggernauts dominate the rankings of the most attractive companies for job seekers. I provided my perspective on what it means to the future of job searching. Breaking the Rules to Find Your Perfect Job, Recruiter.com – In your career, things don’t always work out the way you plan them to. In my piece on Recruiter.com, I share a little bit about how I was able to find my path. Tech Jobs Tour, TechJobsTour.com – I participated in the Tech Jobs Tour as a mentor. This tour is traveling the country, so check it out to see when it’s coming to your city.